Now available! We now carry the elegant and sophisticated Pintuck Taffeta. 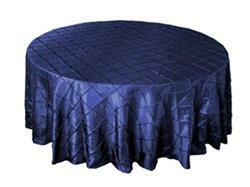 Available in 20 different colours, this tablecloth puts the exclamation mark on any event!